Joe Biden defended the Obama administration's response to intelligence indicating Russian interference in the 2016 US elections, calling the matter "tricky as hell" during a discussion at the Council on Foreign Relations Tuesday afternoon. WASHINGTON (CNN) - Joe Biden defended the Obama administration's response to intelligence indicating Russian interference in the 2016 US elections, calling the matter "tricky as hell" during a discussion at the Council on Foreign Relations Tuesday afternoon. 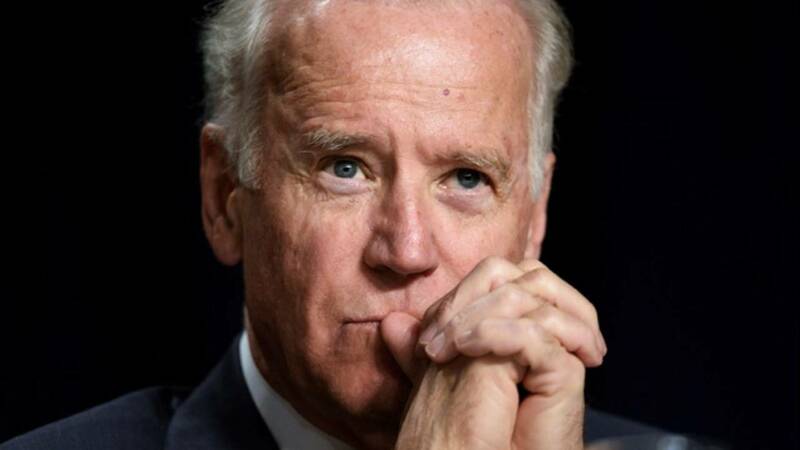 The former vice president's comments come amid speculation he could seek the White House in 2020, during which he'd potentially face questions about the Obama administration's muted role ahead of the 2016 election. On Tuesday, he suggested the issue quickly became partisan in 2016. "Why don't we put out a bipartisan warning to Russia, 'Hands off man, or there's going to be a problem,'" Biden said. "(Republicans) would have no part of it. ... The die had been cast here. This was all about the political play." Biden said that when information regarding state voter roll hacks was brought to GOP Senate Majority Leader Mitch McConnell, McConnell did not want to call it Russian interference. "Mitch McConnell wanted no part of having a bipartisan commitment that we would say, essentially, 'Russia's doing this, stop,'" Biden said. David Popp, a spokesman for McConnell, disputed Biden's version of events, telling CNN Wednesday that the Senate majority leader was cooperative as the Obama administration made public the intelligence community's findings about the Russia investigation. Biden said there was a "constant battle" over what then-President Barack Obama could say and do regarding the intelligence prior to the election because they didn't want to look like they were trying to undermine the electoral process during a campaign. The GOP's decision not to side with the findings turned the intelligence community into a political target, he added. "I'm sure I'm leaving stuff out," Biden said. "The bottom line was it was tricky as hell. It's easy to say now, well maybe we should have said more. But I'll ask you a rhetorical question -- can you imagine if the President of the United States called a press conference in October ... and said, 'Tell you what, the Russians are trying to interfere with our elections and we have to do something about it.' What do you think would have happened?" The administration's handling of Russian interference has garnered criticism on both sides of the aisle, including from Rep. Adam Schiff, the top Democrat on the House Intelligence Committee, which is overseeing its own Russia investigation. "The Obama administration should have done a lot more when it became clear that not only was Russia intervening, but it was being directed at the highest levels of the Kremlin," he told CNN's "State of the Union" in June 2017. President Donald Trump has suggested that Obama's decision to not be more forceful in calling out Russian meddling was politically motivated. "The reason that President Obama did NOTHING about Russia after being notified by the CIA of meddling is that he expected Clinton would win," Trump tweeted in June. A meeting between intelligence officials, White House officials, and congressional leaders in September 2016 aimed at informing the Hill about the interference resulted in partisan squabbles, The Washington Post reported. During discussions, McConnell was reportedly skeptical about the veracity of the intelligence the White House was citing. But later that month, McConnell signed onto a bipartisan letter urging states to get cybersecurity protections from the Department of Homeland Security, though the statement stopped short of saying that Russia was interfering in the election. In October 2016, then-Director of National Intelligence James Clapper and then-Homeland Security Secretary Jeh Johnson announced that Russia was responsible for damaging leaks that "intended to interfere with the US election process." The statement was the first and only acknowledgment from the US government during the campaign that Russia was meddling in the election. In December 2016, then-CIA Director John Brennan told CIA staff that some members of Congress had not been taking intelligence regarding the interference seriously enough. "Now at the time ... when we were internally having these discussions, people would say, 'No one would do that.' Well, look what the hell they've done," Biden said, adding, "The constant attack is on the intelligence community as a political organization run by Barack Obama to take on his political enemies." Biden later added that more intelligence surfaced in the weeks following the 2016 election. "Had we known what we knew three weeks later, we may have done something more," he said.